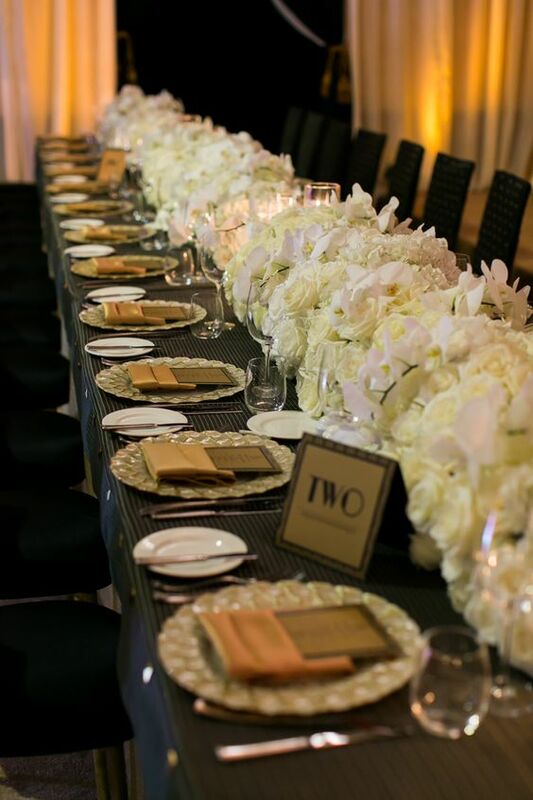 As we head into wedding season, we have partnered with Patina Catering to show you their award-winning service and offering including custom menus and gorgeous locations. These are some great ideas if you are looking for a cater. For a full list of Patina Wedding Venues check out their website! Some of our picks would be the Music Center in Downtown Los Angeles, Descano Gardens for the Greater Los Angeles Area and Bowers Museum in Orange County. If you head to our Instagram page we are having a giveaway for $200 gift card. Make sure to enter before April 2nd. Kunjan and Anil are the sweetest couple ever and planning their wedding was a fun and thoroughly joyful process. Anil’s family was from Los Angeles and had lived in Bradbury for many decades. Kunjan was from India and was living in the States when the two met online. Soon after Anil proposed, the planning process began. 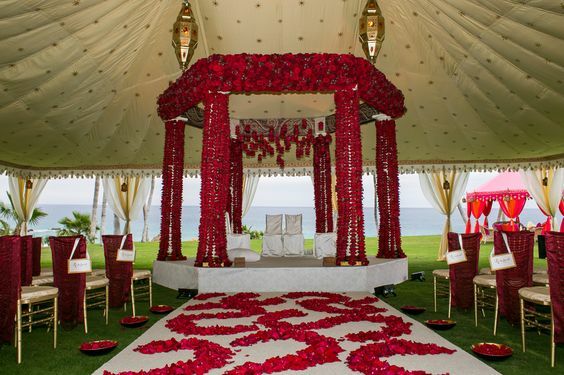 Kunjan was very sure of one thing and that is she wanted all the pre-wedding events such as Mehndi, Sangeet, Pithi, etc. to take place at Anil’s home in Bradbury. 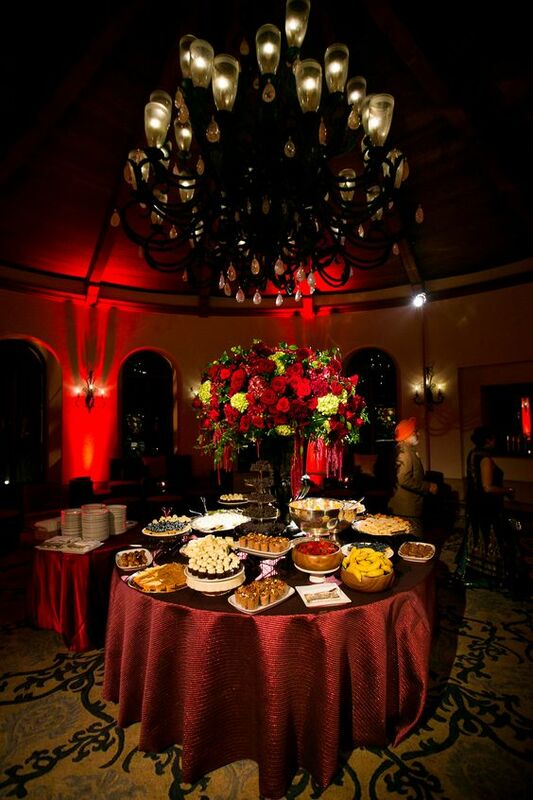 Hotel Irvine was chosen for their wedding reception for three hundred plus guests. While all the preceding events were infused with color and traditions, the couple wanted their reception to be in soft colors and muted tones. Bride made a trip to India to select all her outfits for different occasions and a lovely soft green lehnga from Sabyasachi was selected for the reception. On the day of her reception, she was the most relaxed bride, full of energy and smiles. Since photos were very important to the couple, they decided to go off-site and spend a couple of hours taking photos. The photographer was wonderful in suggesting the “Mission” that was close to the hotel and served as a perfect backdrop with it’s old world charm and classic architecture. 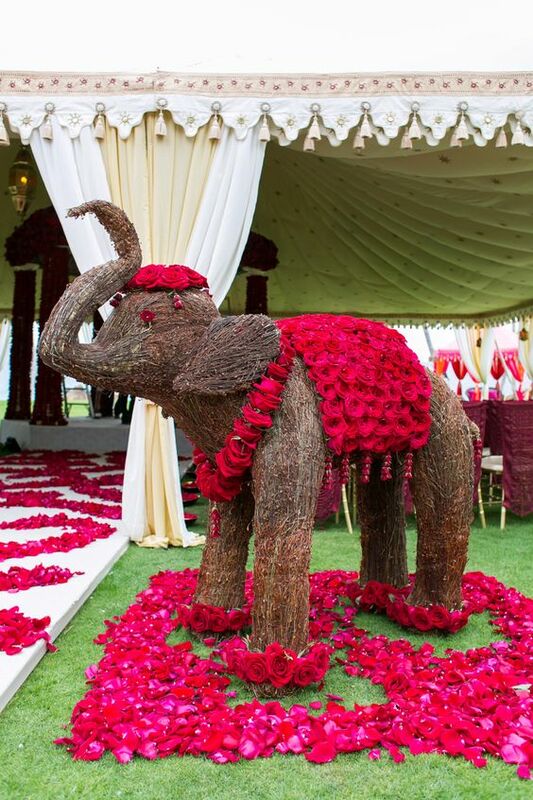 It also complimented the bride’s classic Sabyasachi outfit and the groom’s formal tuxedo. 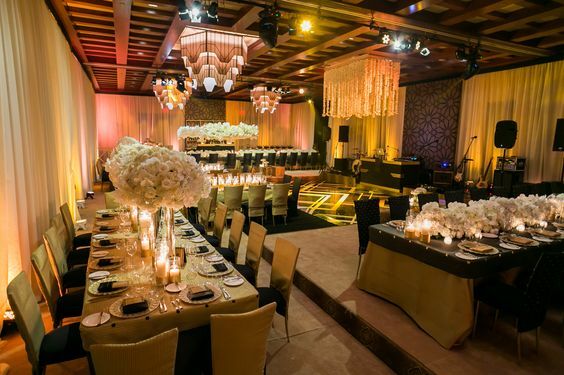 The ballroom was done in ivory and rose gold and looked romantic, ethereal and elegant. 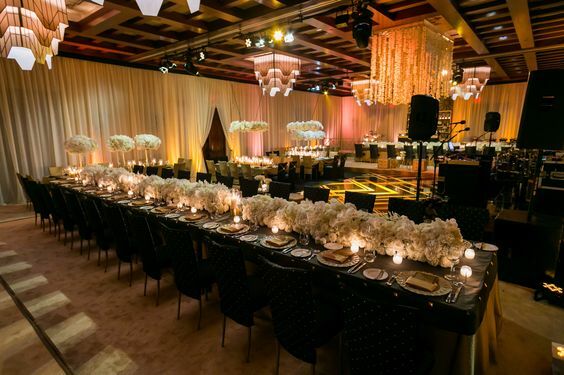 Ivory draping finished the room and combination of long and round tables created interest and drama. Long tables in rose gold graced both sides of the dance floor and were paired with rose gold chairs. 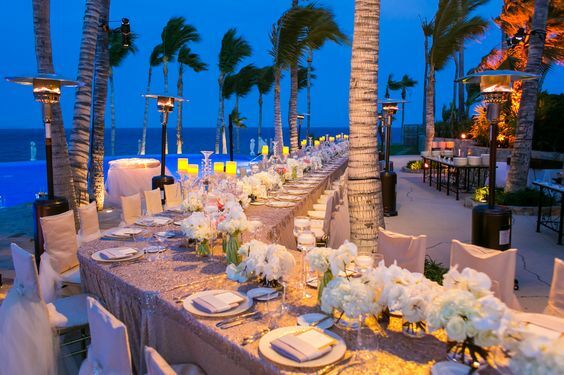 All round tables were dressed in pale blush and paired with rose gold clear chairs. 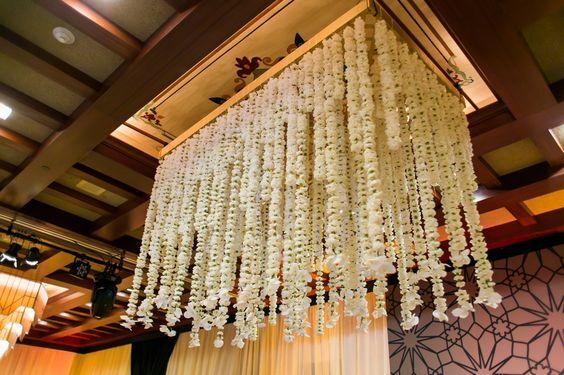 Cascading orchids, roses and hyacinths along with other fragrant flowers had an aura of romance. Couple’s stage backdrop was like a three dimensional painting with a stunning flower wall. Dance floor was bearing the couple’s initials that were also on the couple’s invitations. We wish this exquisite couple lifetime of happiness! As enchanting and romantic as Tuscany itself, Rosewood Castiglion del Bosco is the perfect setting for an Italian destination wedding. The 5,000-acre estate provides an unforgettable tableau, complete with breathtaking landscapes and Old World charm. Situated throughout the estate, an array of exclusive wedding venues includes the historic church of San Michele Arcangelo with its frescoes by Pietro Lorenzetti. 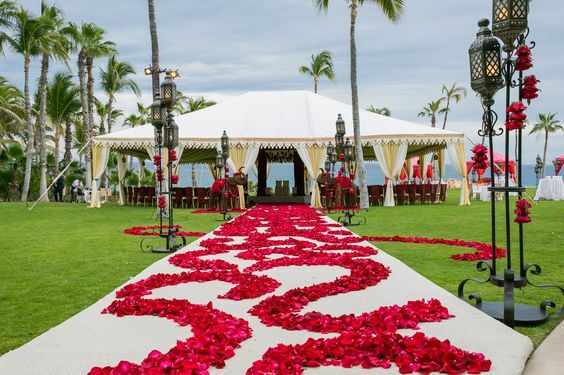 Whether hosting an intimate exchange of vows, an exquisite ceremony or a beautiful reception, all wedding occasions are paired with personalized service and delivered with uncompromising sophistication. The hotel offers a wide range of suites from Junior to Terrace suites and Villa suites ranging in size from 700 ft to 2000 sq ft. We would love for any brides looking to get married in Tuscany consider this upscale hotel for their destination wedding to provide an unparalleled experience to their guests.